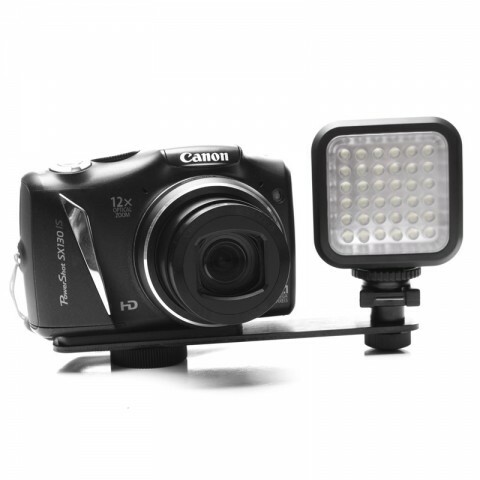 The USA GEAR LightLINK is a compact lighting system featuring 36 ultra-bright LED lights. 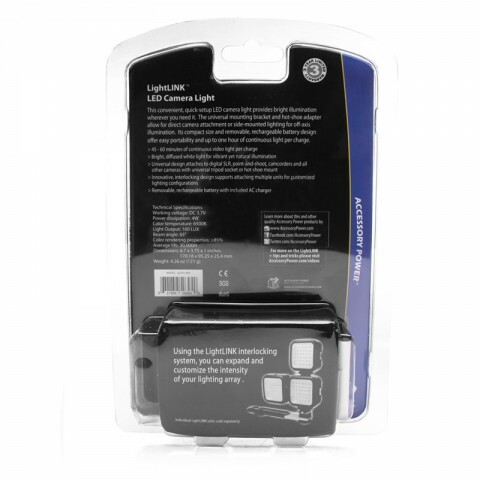 Averaging 50x the brightness of your average bulb, a 50,000 hour lifetime and cooling color temperature, the LightLINK is the last light you'll ever need! 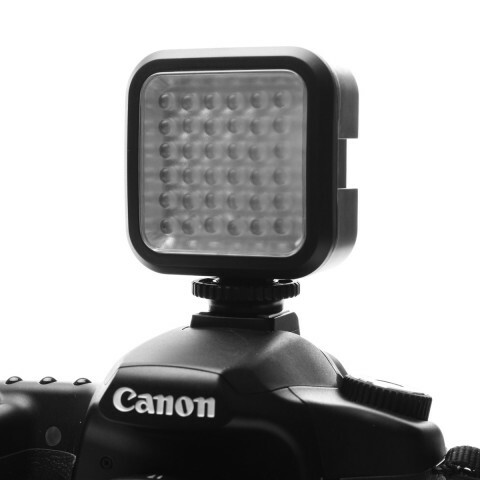 The built-in diffuser spreads the light to provide even illumination, helping eliminate harsh reflections and shadows while simulating bright, natural light. 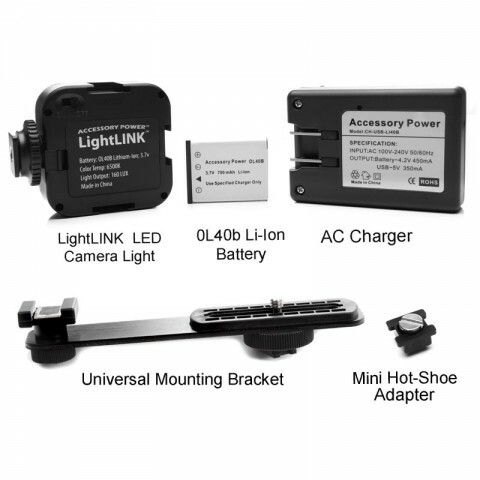 The LightLINK can be used on any camera with a standard hot shoe or tripod mount! 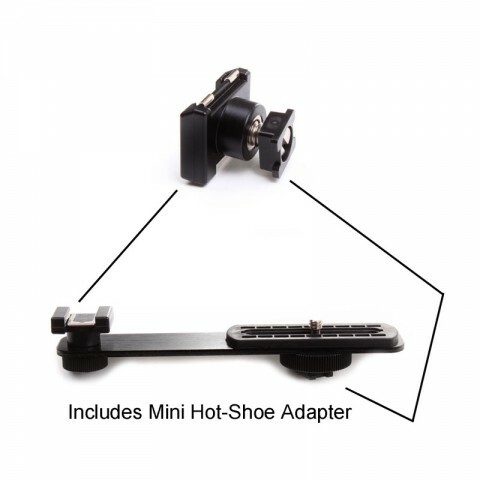 Either slide it into your camera's hot shoe or use the included bracket to connect to your tripod socket. 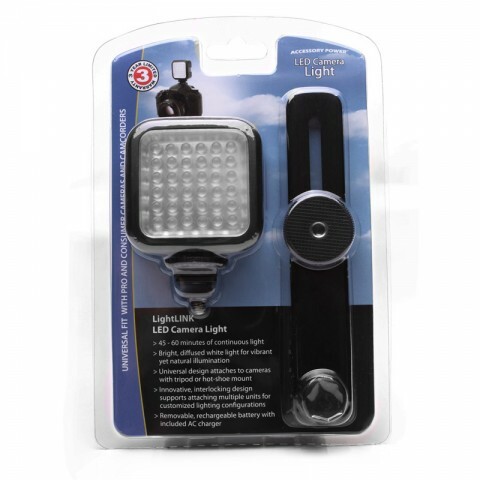 The light is also equipped with a pivoting head, allowing you to raise or lower the light's angle. 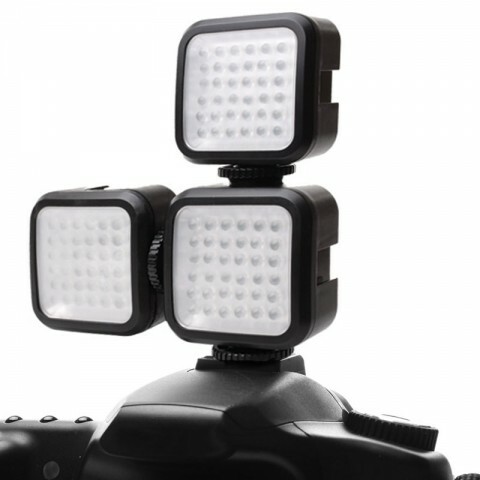 The innovative expansion slots act like hot shoes on the sides of the light, allowing you to connect as many LightLINKs as you like! Use different configurations for different effects. 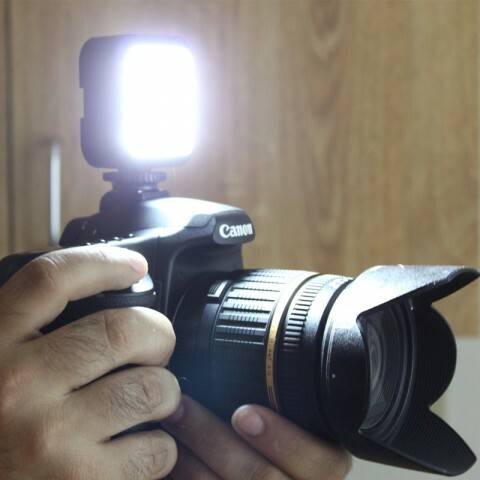 The lighting possibilities are endless.